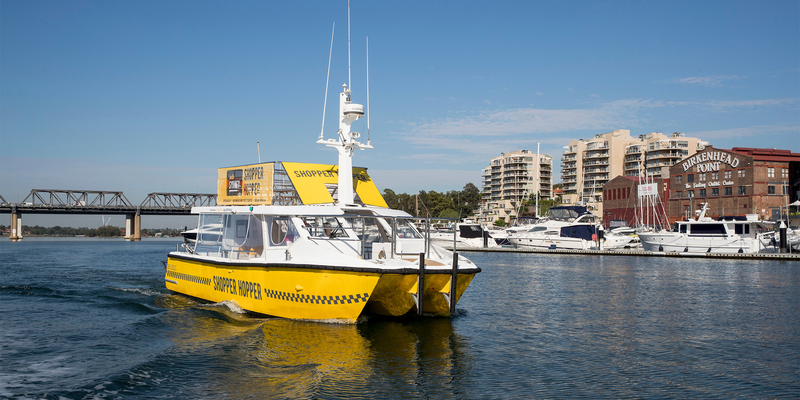 Enjoy the scenic ride across Sydney Harbour on board our Shopper Hopper - an exclusive, 20-minute ferry service that runs between Circular Quay, Birkenhead Point and Darling Harbour. All UnionPay cardholders are eligible for a complimentary one-way Shopper Hopper ticket to Birkenhead Point*. To receive your complimentary Shopper Hopper ticket, Simply present your UnionPay Card to the crew on board or when booking online select the UnionPay ticket option to redeem your complimentary ticket from Circular Quay or Darling Harbour wharf locations. *Terms and Conditions apply. One-way ticket only. Valid for Circular Quay and Darling Harbour departures only. One free ticket per cardholder. Promotion valid until 30 November 2019. The Shopper Hopper does not operate on selected public holidays. For more information and to book, please visit shopperhopper.com.au/tickets.